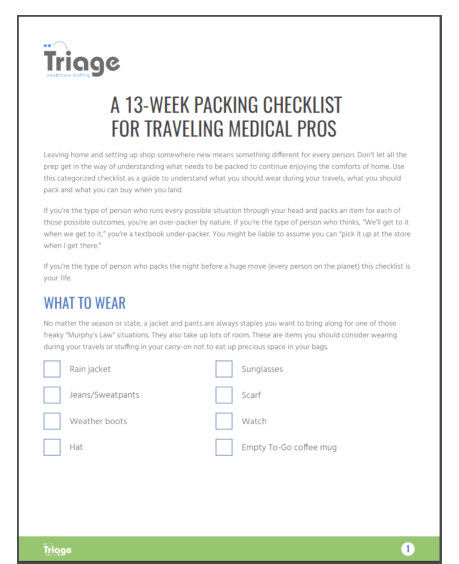 Triage’s Nursing Team is actively seeking traveling L&D Nurses to keep up with the massive demand across the country. With such a high demand, you’ll be able to choose from tons of jobs in amazing places across the USA. As a Triage traveler, you’ll be eligible for: health, dental and vision insurance; a 401k; vacation time; and education reimbursement. Just fill out your information below and an experienced recruiter will be in touch with you shortly. This form connects to the generic Apply Now page that is not connected to a specific job.